Magnetrol International proposes the PulsarTM Model R96 Non-Contact Radar transmitter for accurate, reliable level control in process applications. 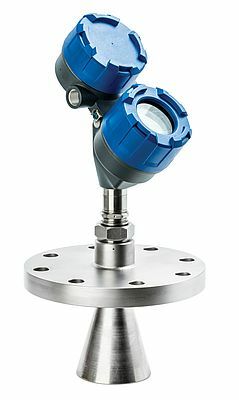 Virtually unaffected by the presence of vapors or air movement within a vessel's free space, the two-wire, loop-powered, 6 GHz Radar transmitter measures a wide variety of liquid media in process conditions ranging from calm product surfaces and water-based media to turbulent surfaces and aggressive hydrocarbon media. This new radar transmitter joins the company's ground-breaking Eclipse® Model 706 Guided Wave Radar (GWR) transmitter to offer process industries a complete portfolio of advanced radar technologies for level control solutions.